Blend smoothie base ingredients. 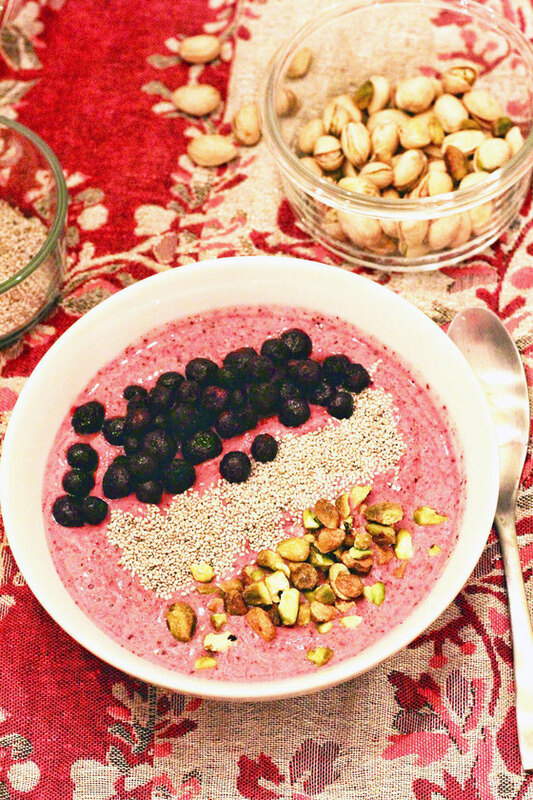 Place into two bowls, and top with wild blueberries, pistachios, and chia seeds. Enjoy! Makes 2 servings. 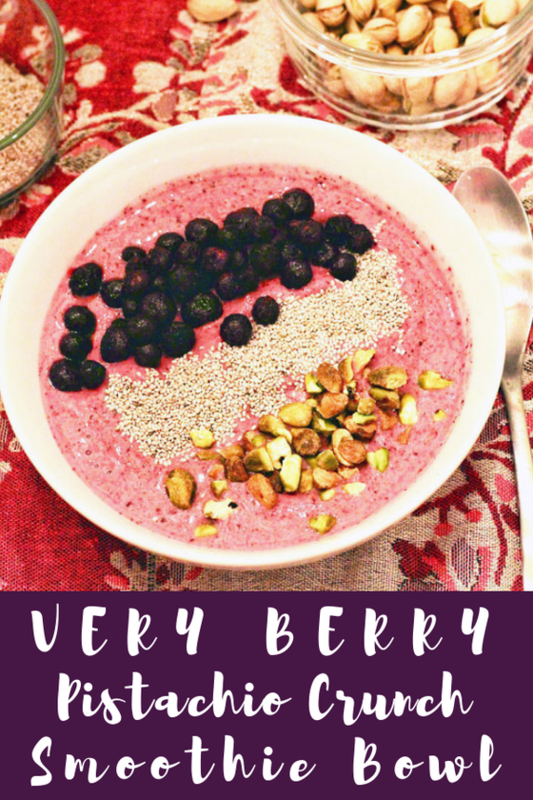 Disclosure: This recipe was sponsored by Wonderful Pistachios.